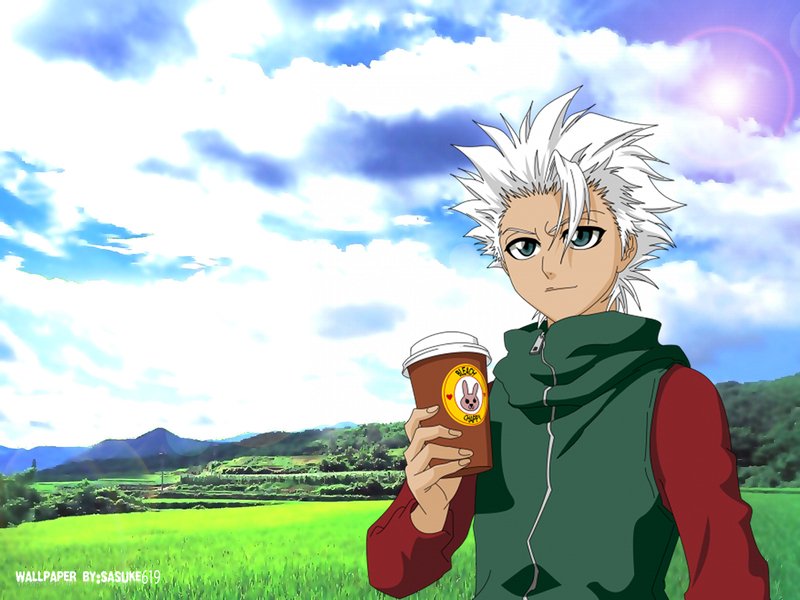 Toshiro le plus beau comme toujours ?__? I was thinking of a city, snowing.... but that is much bettehhh! WOohoo! Thank yous! the background could be a littler colder caouse toushiro is holding a coffee cup( is that coffee?).. but the wallie is all around good.. It's chappy coffee. So cute.